Are you feeling trapped in your elevator contract? 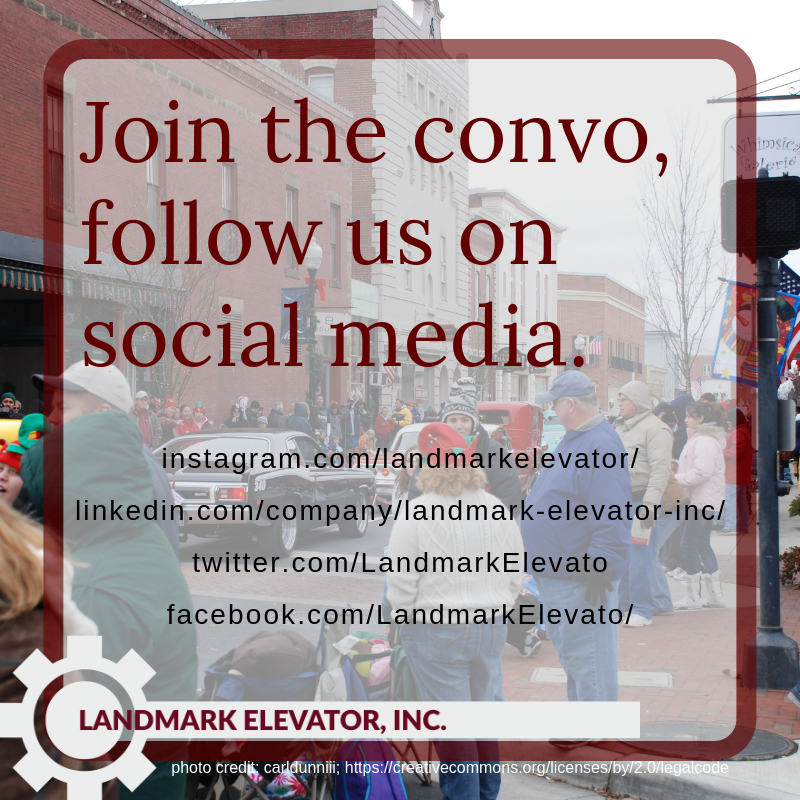 - Landmark Elevator, Inc.
Are you feeling trapped in your elevator contract? As a business owner in the elevator industry, it didn’t take me long to realize that I don’t like being surprised by a huge unexpected repair bill, especially if I am paying for a protection plan that I feel should cover the cost of my repair. I think we have all experienced this in one form or another either from auto repairs, to health care costs, to cell phones or property improvements. As a competitor in the elevator service industry, I’m frequently surprised at the lack of consistency in the pricing I see from my competition. Even the large multi-national companies sometimes appear to have no rhyme or reason for their pricing. Over the years, I have gained a great deal of insight as to why this phenomenon occurs, but I’m still frustrated by the inconsistency. As a service provider in the elevator industry, I fully understand just how expensive the task of servicing, maintaining, repairing, and modernizing elevator equipment can be. A specific part for one elevator will cost $10 to replace. The same, almost identical part for another elevator costs $900. There is a reason why this happens, but again, it is frustrating. So what can be done to shed some light on what is causing these wild fluctuations in price and ridiculously high repair costs? Architects and consultants make a diligent effort to sort through the propaganda and salesmanship of the major industry suppliers to try to provide the best recommendations for their clients, but in the end, they must rely on the information being provided by those major suppliers on which to base their decisions. This becomes an impossible task when these major suppliers are able to flood the internet with information that champions the strengths of their products over others while failing to mention the areas where they fall short. Many architects have begun to carefully scrutinize the product specifications that are provided by the major companies and edit them to make them more favorable for their customer’s interests. This is a huge step in the right direction because getting the right product installed in the first place can make your experience as the owner and riding passenger so much more adequate for your needs and economically sound over the life of the equipment. As a building owner, you can seek out competitive bids for a maintenance program, but so many of the elevator contracts we see in the industry are intentionally made so complex and convoluted that it would take a Philadelphia lawyer a week to figure out what is and isn’t covered. Also, most elevator contracts are “sticky” contracts, meaning once you’re in one, it’s very hard to get out. So what about the safety code, governing authorities, and inspectors? Recently, codes have been adopted requiring more stringent maintenance record keeping and performance. While there is much hope within the industry that these changes will legislate good maintenance, there is a long way to go. Already, I’ve seen evidence that some of the major providers in the industry have found ways to weaken the requirements or side-step them completely. Personally, I don’t believe it will ever be possible to codify good maintenance. This change must come from a well-informed customer not allowing themselves to be taken advantage of by unclear contracts and hidden costs. In the end, the inspectors and the codes they enforce exist to improve the safety conditions for all parties involved. So while they are an indispensable ally in that regard, they are not here to protect your bottom line. As a small local business with strong ties in the community and many years of experience, I believe that I and others like myself all across the country have a duty to be the industry watch dog and help owners and property managers avoid some common pitfalls that have existed for far too long in the industry. The only way the elevator service industry is truly going to improve is if the customers stand up to these powerful entities and say enough is enough. But in order for that to happen, someone needs to pull back the curtain and allow owners to gain a clearer picture of what they are paying for, what they are getting, and most importantly what all of their options are before any elevator contract for maintenance, repair, or construction is signed. Over the next few months, I will be posting a series of articles that deal with these issues and provide insight into the elevator industry and how to avoid some expensive mistakes. I am also working with several of my customers to figure out ways to make the contracts and services Landmark Elevator provides even more customer friendly. We have already implemented some of the suggestions that we have received from our clients. For example, the client login feature at www.landmarkelevator.com that allows our customers to access their accounts and review equipment history at any time day or night. Please check back often to see more great features that will be added in the months to come. Previous Post: Happy Thanksgiving from all of us at Landmark Elevator! !